Coffee in Brazil represents more than just a drink in the morning, it represents its wonderful culture and the significant influence of the country’s economy. Brazil is the largest producer of coffee in the entire world, growing various bean types such as Bourbon, Typica, Caturra, Mundo Novo and Arabica which is the most popular. Even though the coffee grain is not native to Brazil, it was only until 1727 when Francisco de Mello Palheta brought the first bush of coffee into the country that the history of our coffee started. 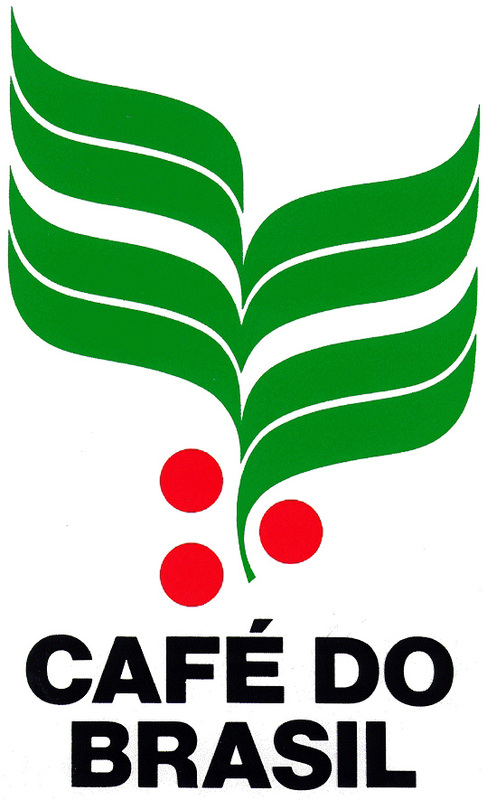 He brought the coffee seeds from Cayenne, French Guiana by persuading a lady to give him some seeds which later changed the history of Brazil forever. It wasn't only until the beginning of 18th century that coffee started to be planted in Brazilian lands, but only in 1820 it has got some importance, representing 43.8% of our exports, taking Brazil to the international scenery. 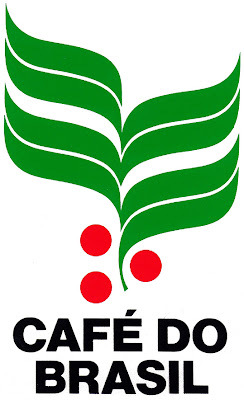 This commercial rising has provided the appearing of the “Barões do Café” or the Coffee Barons, who were the biggest and most powerful farmers from the southeast of Brazil, more specifically from the states of Rio de Janeiro and São Paulo. Coffee has become the most important export product in Brazil during the Empire age in the country, and until now it has a significant power in the commercial balance of the country. Having a coffee is a habit. Wherever you go, the minute you walk in the door, someone will pop the question do you want a coffee? or a cafezinho as we say here, and they won't take no for an answer. Or maybe they won't even ask and the coffee will soon materialize on a tray brought in by someone. In offices they serve coffee to you at your desk, so don't be surprised if in the middle of a business discussion your Brazilian counterpart offers you a coffee too. And, at that point, the conversation may well switch to a non-business topic while you sip your coffee. Or you can go to any bar with a counter in Rio and enjoy your cafezinho in a traditional small cup!! Even Starbucks at the chic Shopping Leblon in Rio gives you the option of having a real cup! Brazilian coffee is a standard in most coffee shops and in home coffee makers today! You can also have an espresso at one of many gourmet coffee shops around town, every shop has its unique charm and lots of different flavors that you can choose from, usually from different parts of Brazil. Every time you order a coffee it will always come with small cookies and different sweet delights to the side! Gourmet coffee tends to have a range of prices and quality. There are gourmet beans that are offered at grocery stores that are only a step above the regular coffee you would buy and there is the coffee that is so rare and flavorful that they only make a few hundred kilos a year. And that is why café Jacu is a matter of taste. If you are scratching your head over that name, it may be because you have never heard of it. 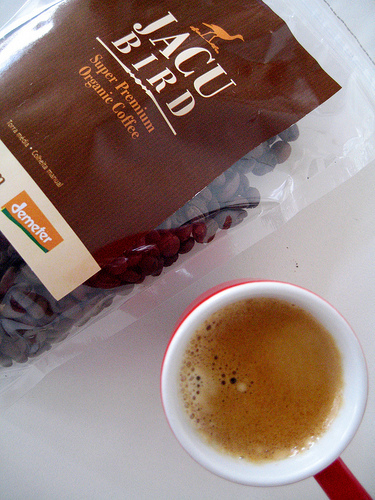 Café Jacu is in fact, one of the rarest coffees out there. Native to the forests of Espirito Santo Jacu is a seed eating bird about the size of a chicken. There are two types of Jacu, Rusty-margined Guan and Dusky-legged Guan. Jacu birds are very selective in their feeding, only picking and eating ripe berries. If you collect the droppings from a Jacu, you should have only ripe berries (that makes better coffee). After collected the droppings are dried, cleaned and rested in parchment for an extended period of up to 3 months. It sounds bizarre, but Jacu coffee has regularly won prizes and is one of the most highly prized coffees in the world. I can testify that it makes a very mild, delicious coffee! Learning how to drink a good coffee is key! 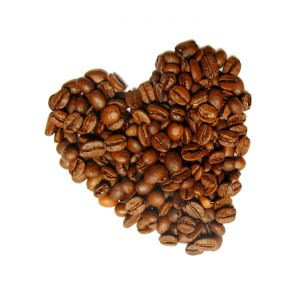 Coffee should have a natural sweetness to it. Lots of people cannot drink coffee without sugar, but part of the reason for this is to improve the taste of bad coffee. A properly made espresso will have a natural balanced sweetness to it and there will be less need to reach for the flavour enhancers. The more you drink good coffee the less you feel the need of sugar! Among the things that make Brazil popular, the quality and selection of our coffee is surely on the top of the list, so if you’re visiting Brazil you should treat yourself to some of the magnificent flavors of coffee that we offer!! So grab a cup of coffee and enjoy!! !